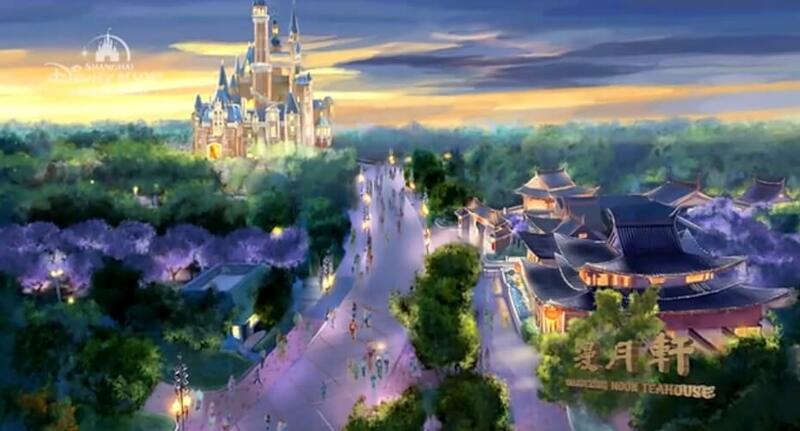 Two weeks ago we showed you a first glimpse of the new Shanghai Disney Resort that will open in Spring 2016. 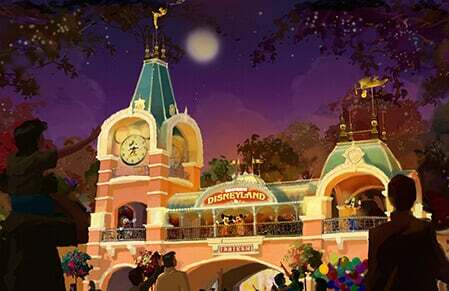 Now we have even more exciting details to share with you all, everything from ride vehicles to themed restaurants. 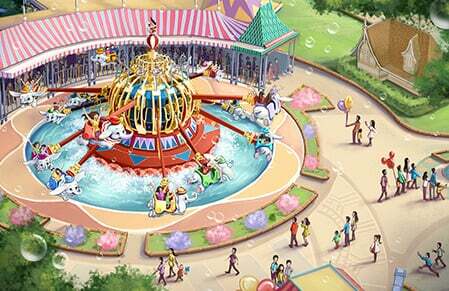 The six themed lands of Shanghai Disneyland will be: Tomorrowland, Fantasyland, Treasure Cove, Adventure Isle, Mickey Avenue, and Gardens of Imagination. 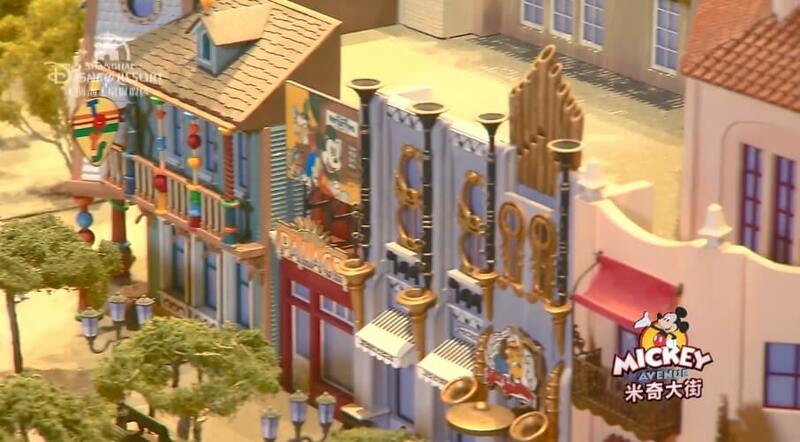 Mickey Avenue: Lets start with a look at first land you will encounter when you walk past the entrance to the park. 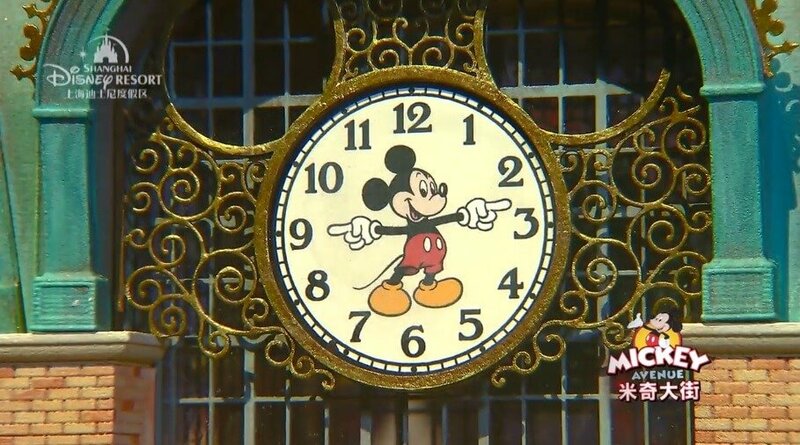 At the entrance there is a large clock tower , inspired by classic Mickey Mouse watch design. 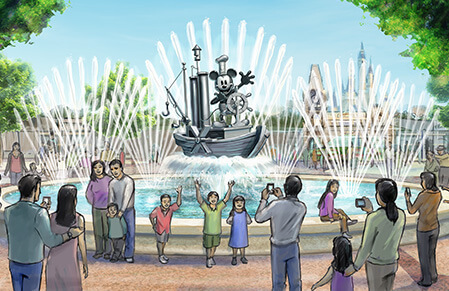 This land will be a bright and fun place focusing on all the Disney characters we know and love. Il Paperino: a gelato shop where guests can discover the family tree of Donald Duck. 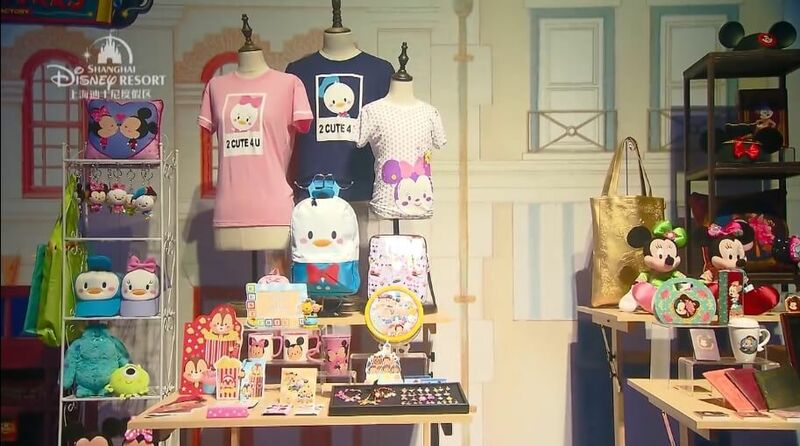 Avenue M Arcade: will feature the largest selection of gifts and accessories in the park and one section of the store will be themed to Scrooge McDuck. 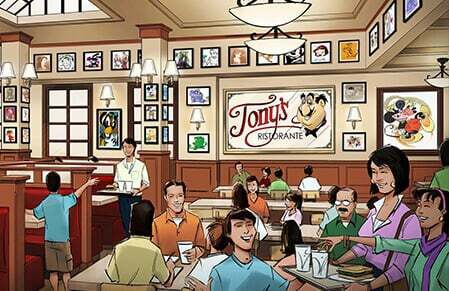 Mickey & Pals Market Café:This counter service cafe will have an open-air market feel and guests can choose a table in one of four dining rooms themed after Mickey’s Galley, Tony’s from Lady and the Tramp, Daisy’s Café, and the Three Caballeros. 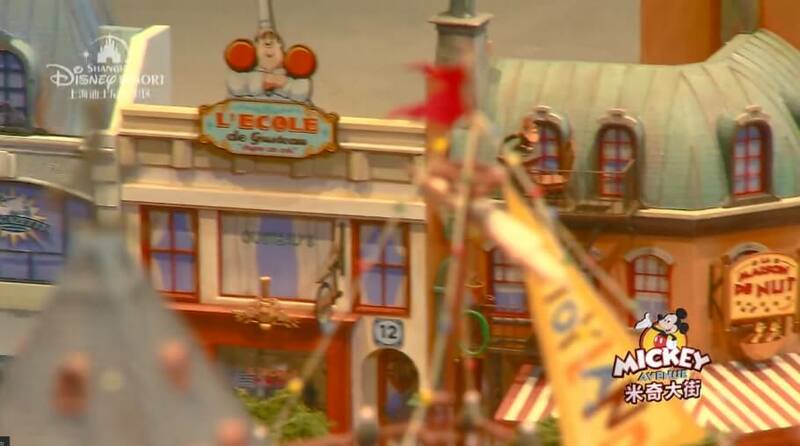 Remy’s Patisserie: a French-inspired bakery based on characters from Ratatouille it will serve a variety of breads, pastries and muffins, along with fresh desserts from the restaurant’s kitchen. 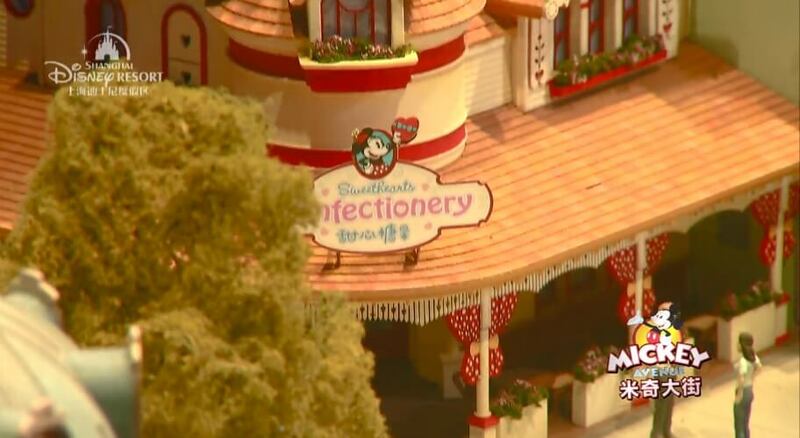 Sweethearts Confectionary: a sweet shop representing the childhood home of Minnie Mouse this shop will showcase murals and sweet scenes that tell the story of this Mickey and Minnie’s courtship. Gardens of Imagination: this is the land that will give you the most traditional Chinese experience and give you a look at the “wonders of nature and joy of imagination.”In this land you can take a ride on the Fantasia Carousel and Dumbo the Flying Elephant and wander around seven uniquely themed gardens based on the Chinese zodiac . 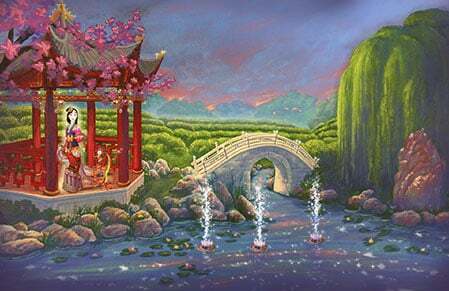 These individual gardens will feature the themes of family, friendship and fun: Garden of the Twelve Friends, Melody Garden, Romance Garden, Woodland Garden, Garden of the Magic Feather, Fantasia Garden, and Storybook Castle Garden. Each garden will be filled with engaging activities, floral and woodland displays, and playful photo opportunities.But this land will also be the home of two exclusive live entertainment experiences. Ignite the Dream: a nighttime spectacular of magic and light fireworks show. 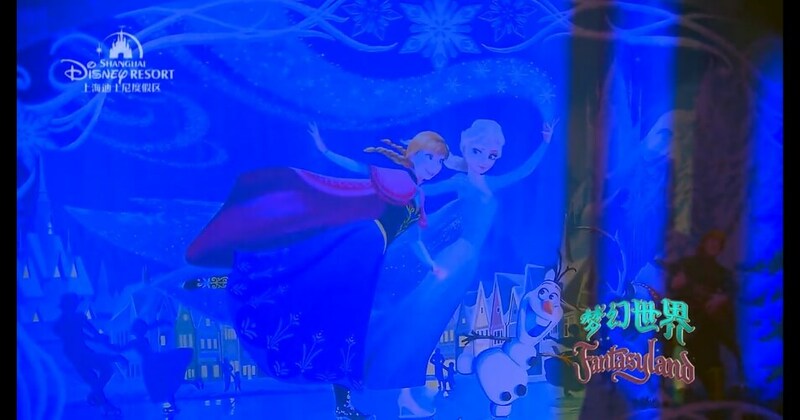 When “painted” together on Disney’s largest castle in the world, the effects will be mesmerizing. The walls of the castle will transform into stunning new worlds, full of color and motion. During the show, Mickey will find that magical spark that ignites his imagination and sets him free to fly and soar. Mickey’s Storybook Express: a daytime parade that will be traveling along the longest parade route in a Disney park, this parade will be led by a whimsical locomotive. A line of themed “train cars” will follow, each with its own exciting musical soundtrack and colorful cast of performers. 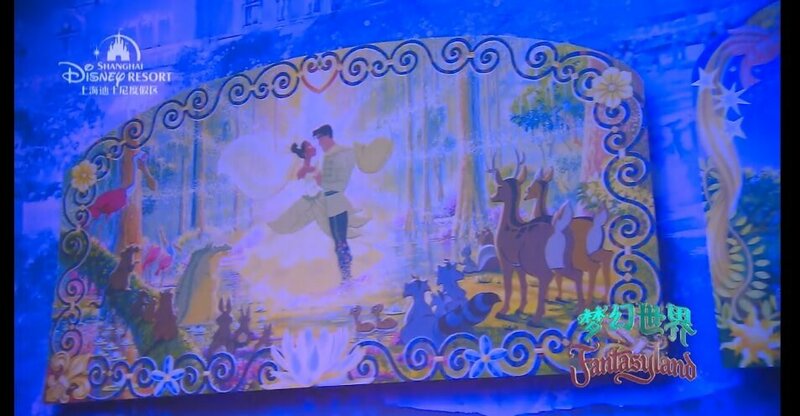 Each train car will feature the characters, story and music of a favorite Disney film. 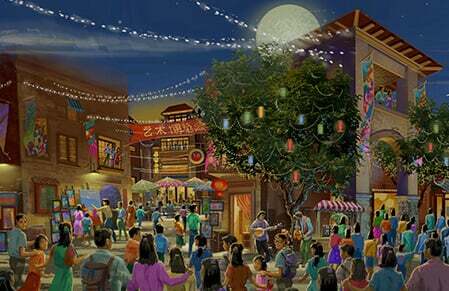 Wandering Moon Teahouse: this quick-service location will feature Chinese dishes in a traditional teahouse atmosphere. 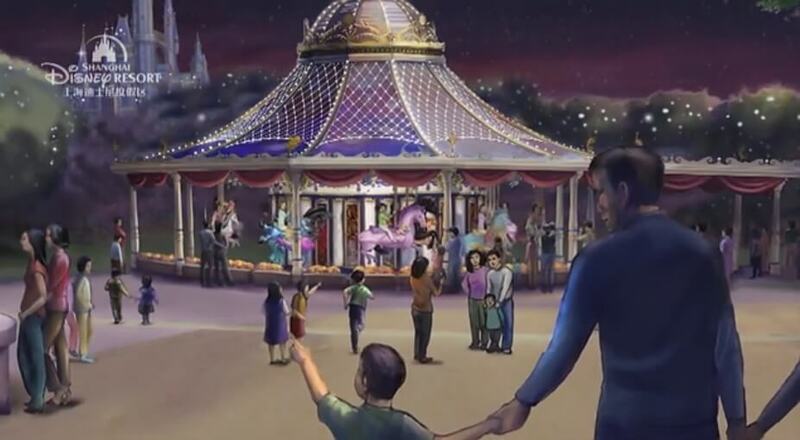 This will be the first time the story of “Wandering Moon” will be featured in a Disney park. 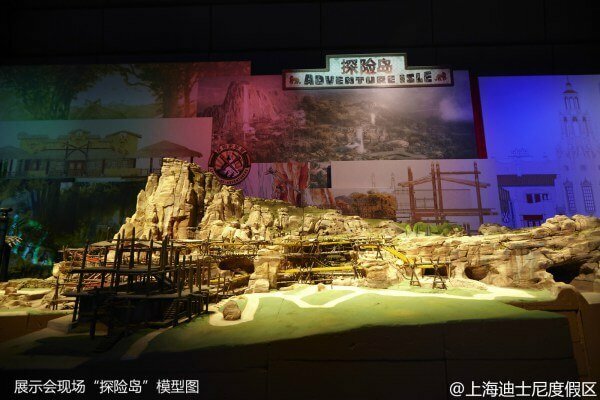 Adventure Isle: will be a new take on Adventureland, featuring the Roaring Mountain, Camp Discovery and Soaring over the Horizon. Roaring Rapids: Riding a raft propelled only by gravity and water, anything can happen as guests plunge down a mountain and into a dark cavern where the undiscovered secrets of an ancient tribal legend and the reptilian creature Q’aráq are revealed. Only those who venture into the mountain will encounter the massive, mysterious Q’aráq. 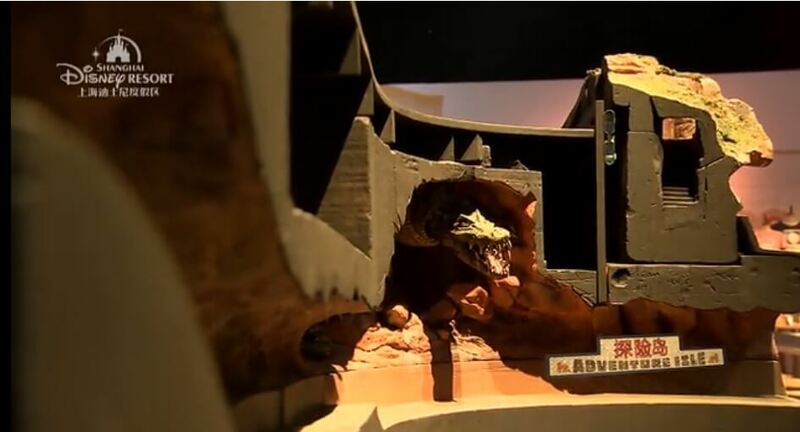 Tribal Table: this restaurant will be modeled after an ancient gathering house in the Arbori village and promises guests a “sensory dining experience” where sights, sounds and smells will increase the theming. “Tarzan: Call of the Jungle” at Storyhouse Stage: a powerful retelling of the animated classic movie Tarzan. 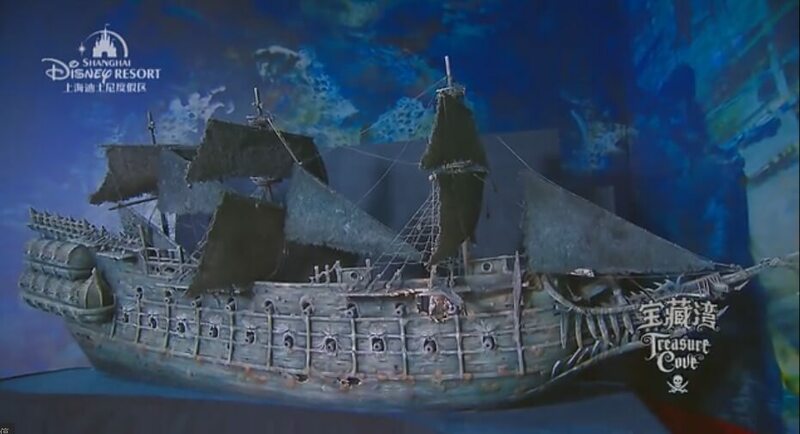 Treasure Cove: this will be the first land in Disney history to be exclusively themed to Pirates of the Caribbean. Pirates of the Caribbean: Battle for the Sunken Treasure: a new take on the classic boat ride where a new high-tech ride system will let the boats be able to spin, move and react smartly to their position, triggering action and synchronized music as they travel through breathtaking scenes and lively battles. Guests will encounter fearless pirates, mermaids and even a kraken. 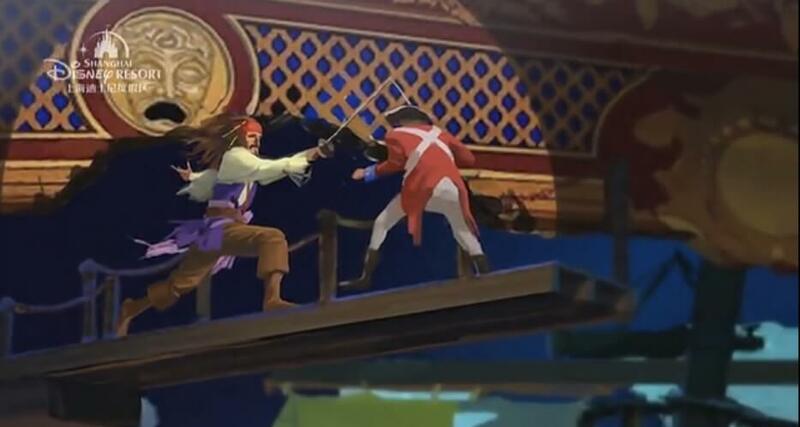 Eye of the Storm: Captain Jack’s Stunt Spectacular: a live stage show featuring fantastic stunts and swordfights, spectacular scenery, and stunning visual effects at the El Teatro Fandango. Shipwreck Shore: a water play area located onboard the remains of a shipwrecked French galleon and the surrounding beach. 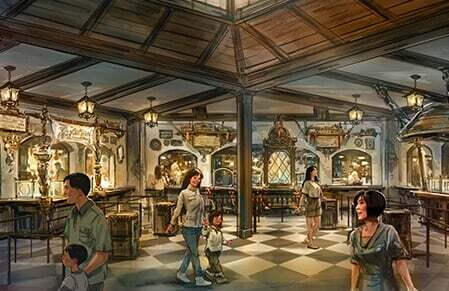 Barbossa’s Bounty: this will be one of the largest restaurants in Shanghai Disneyland and it will be themed to a “grog shop” and feature a bountiful of spicy barbeque meals. 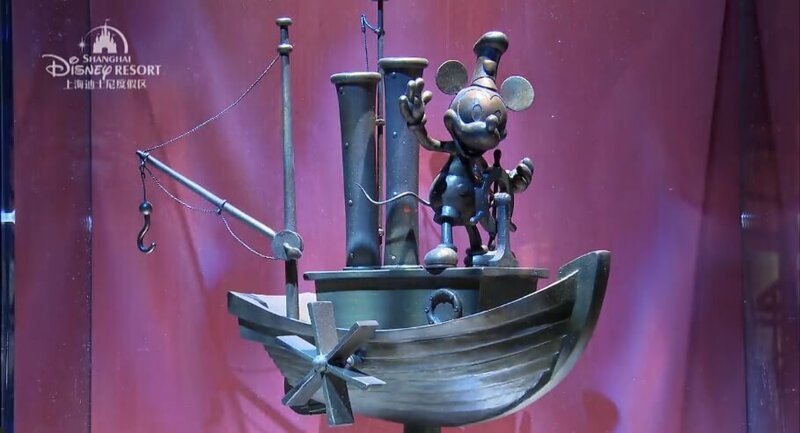 The pirate chefs show off in a demonstration kitchen and guests can dine in a themed dining room of their choosing or inside the Pirates of the Caribbean attraction in the same style as Blue Bayou restaurant at Disneyland, California. 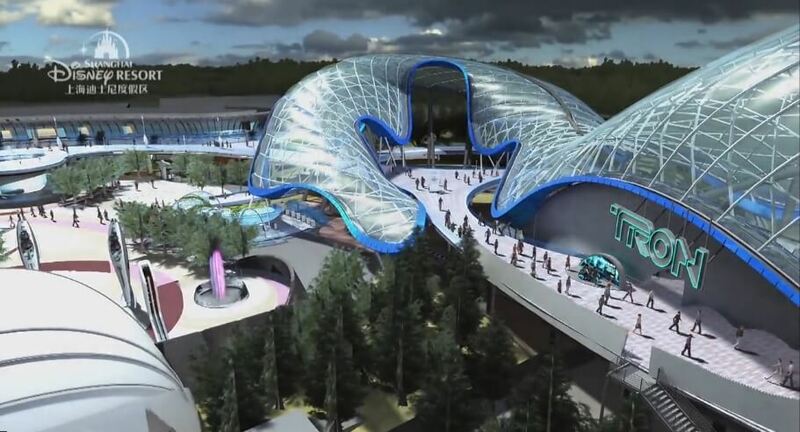 Tomorrowland: this land got two new really thrilling attractions, TRON Lightcycle Power Run and Buzz Lightyear Planet Rescue. You can read more about TRON Lightcycle Run, the thrilling, roller coaster-type attraction themed to Disney’s beloved sci-fi classic HERE. 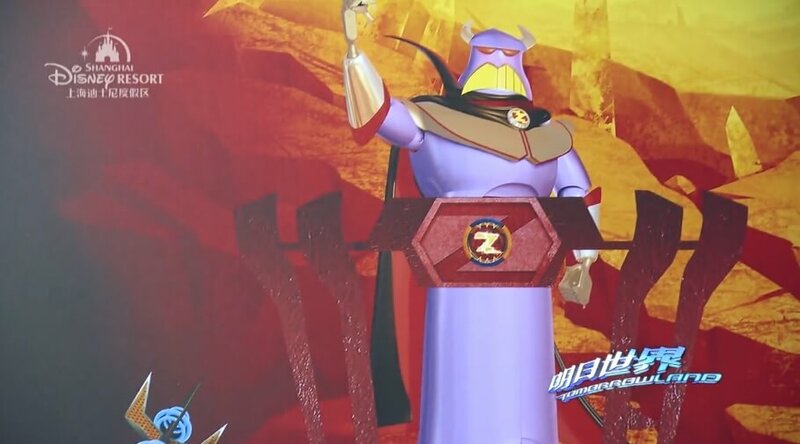 Buzz Lightyear Planet Rescue: this is a new take on the familiar Buzz Lightyear Astro Blaster/Space Ranger Spin attraction. 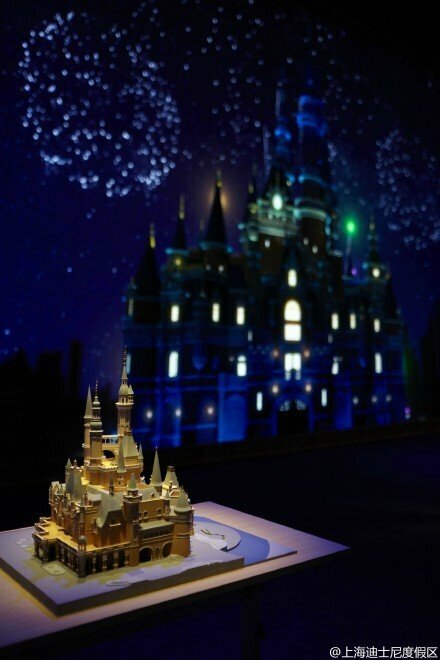 At Shanghai Disneyland this ride will be decked out with an “immersive, new storyline combined with a new, interactive targeting system.” This attraction also features new ride vehicles called Space Cruisers, animated targets, LED screens, and real time feedback from the targeting system. 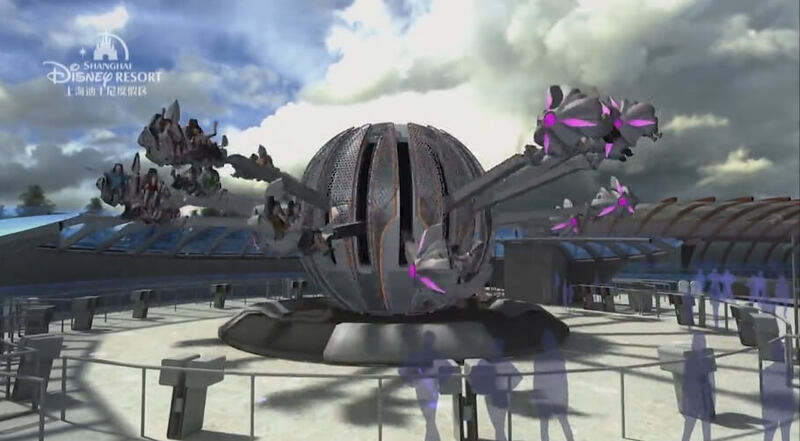 Jet Packs: At this attraction guests will be “strapped into individual Jet Packs, with legs dangling.” At the center of this attraction is some kind of “energy sphere,” which spins faster and faster as the ride progresses. 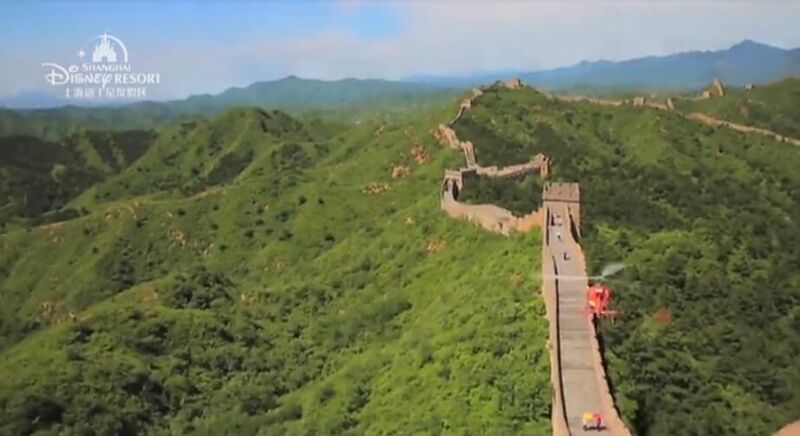 The ride will also be interactive letting guests control how high their jetpack goes and how dramatic the pitch of their vehicles is. 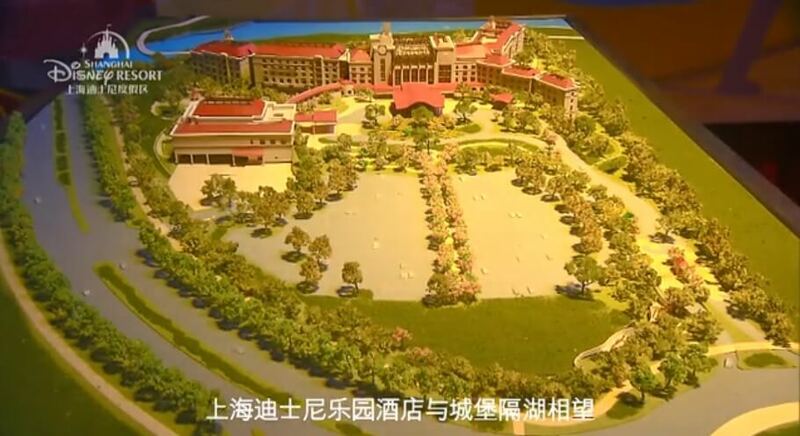 Stargazer Grill: this will be the largest restaurant in the theme park, offering spectacular views of the rest of Shanghai Disneyland. 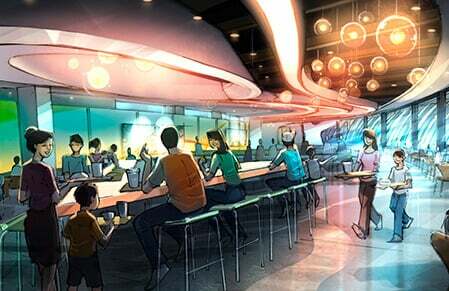 The design will be all curved ceiling and glass orbs of twinkling lights. Fantasyland: this land will be the largest one in the park and home to many of the most classic attractions, restaurants and the Enchanted Storybook Castle. You will see favorites from other parks like Peter Pan’s Flight (featuring a brand new “inverted-coaster ride system”) and the Seven Dwarfs Mine Train. Royal Banquet Hall: The regal Royal Banquet Hall, filled with enchanting details such as leaded-glass windows and soaring archways, offers fairytale dining in a storybook setting. Princes and princesses of all ages will enjoy a plated meal served with royal hospitality, as some of their favorite Disney characters visit to sign autographs. Each of the dining rooms will be inspired by Disney princesses, adding a story that allows every meal to end happily ever after. 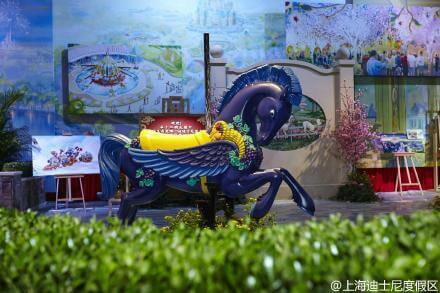 The rooms at Royal Banquet Hall are themed to Sleeping Beauty, Cinderella, Tiana, Mulan and Snow White. 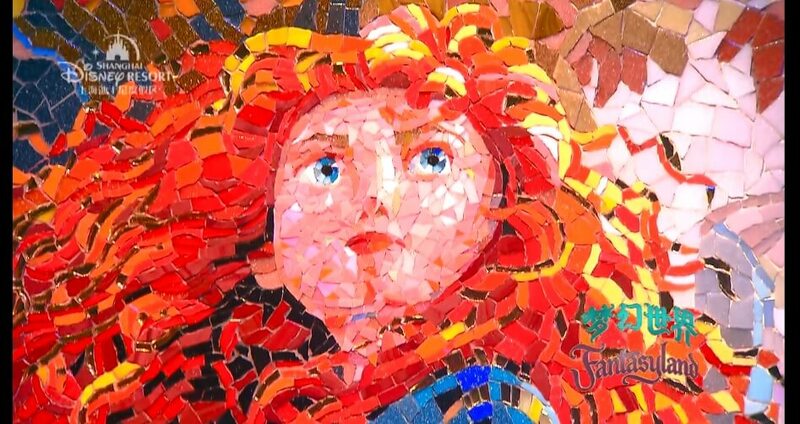 Enchanted Storybook Castle: this dream castle will be Disney Princess -themed and have an interior filled with mosaics and frescoes. 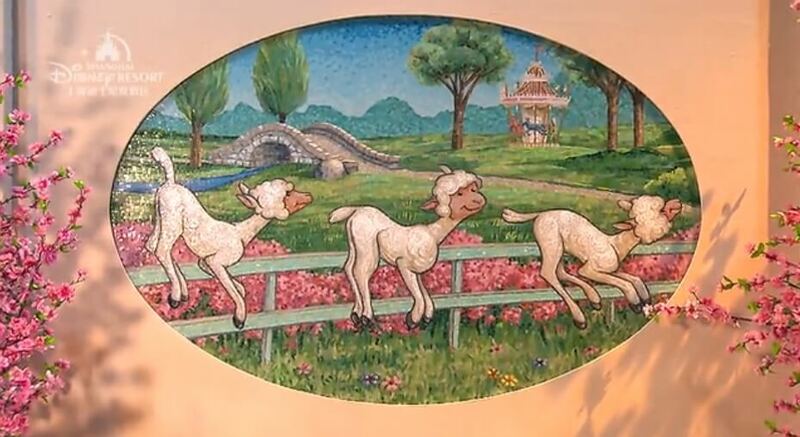 Hunny Pot Spin: a Winnie the Pooh-themed attraction where guests board whirling honey pots. 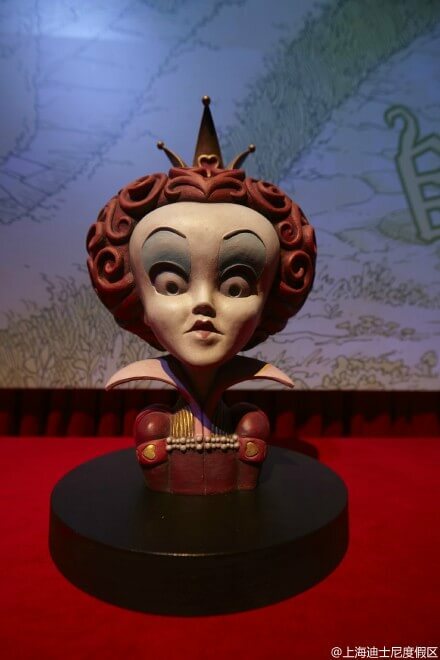 Alice in Wonderland maze: this will be the first attraction at a Disney park themed to the Tim Burton version of the story. Voyage to the Crystal Grotto: an excursion through the waters of Fantasyland, complete with colorful fountains, wonderful music and a spin underneath the Enchanted Storybook Castle. 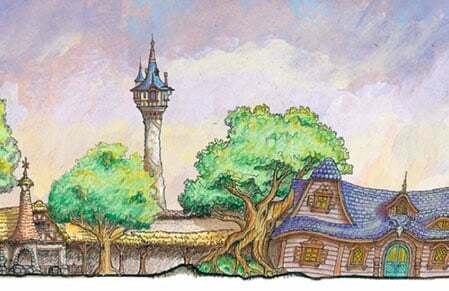 Tangled Tree Tavern: Located in the Fantasyland forest, Tangled Tree Tavern is inspired by the Snuggly Duckling, the pub featured in Disney’s animated film Tangled, the tale of Rapunzel. Warped by time and the roots of the large tree nearby, Tangled Tree Tavern is full of rich details and an atmosphere befitting the boisterous ruffians and thugs in the film. Guests will enjoy a hearty meal in this lush woodland environment. Pinocchio Country Kitchen: this restaurant takes visitors into the fascinating Disney fairy tale – ” Pinocchio .” Here you can dine on a variety of food, whether it is pizza or pasta. 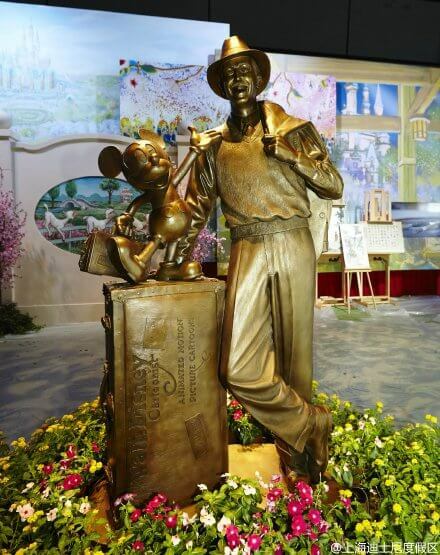 Also coming to Shanghai Disney Resort is Disney Town (a shopping and dining complex) featuring the Walt Disney Grand Theater which will be the home to the first Lion King on Broadway show in Mandarin. 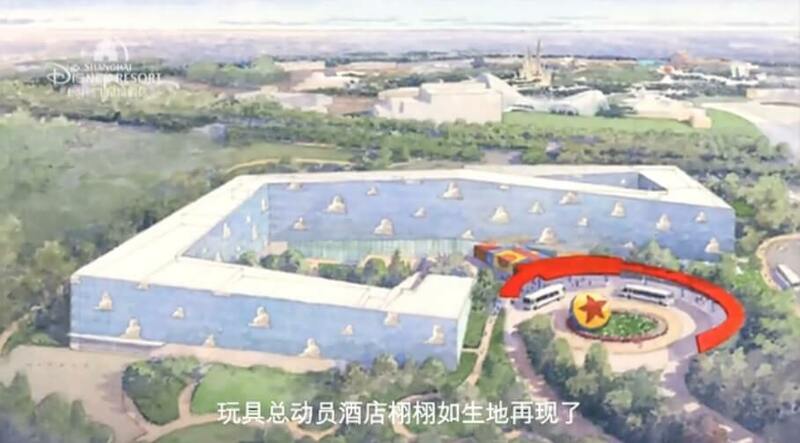 The resort will also get a Toy Story Hotel and Disneyland Hotel. Disneyland CA faithful here… They’re really going to have to up their game in the U.S. parks.